The Episcopal Parish of St. Chrysostom has been a center of worship & service in the Wollaston neighborhood for 120 years. Come and see! During the nineteenth century, the City of Quincy went through a rapid change from a farming community to an industrial center. With the Quincy quarry expanding and with new transportation options becoming available to the growing city, church expansion was needed. In 1892 a group of concerned Episcopal families met with the rector of Christ Church, Quincy and planned for a new mission in Wollaston. The first service was held in Perry’s Hall on Easter Day, April 10, 1892. 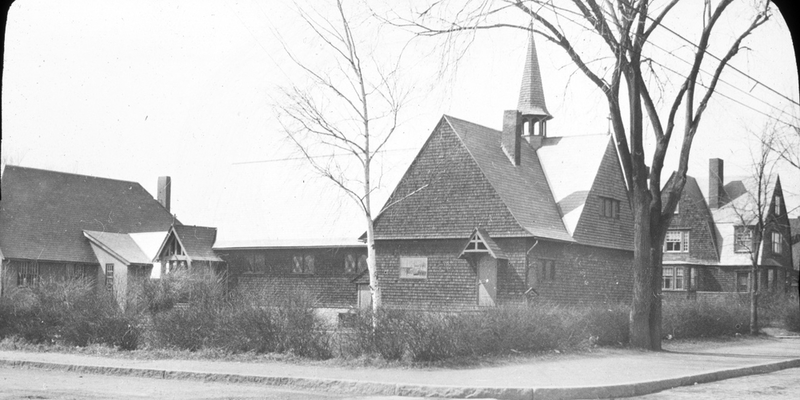 On April 7, 1894 a corporation was organized as “The Parish of St. Chrysostom.” It was decided that a mission church would be built in the Hancock street area in Wollaston. The Taylor family heirs of Wollaston offered a tract of land at the junction of Hancock and Linden Streets. This offer was joyfully accepted by the members and received the approval of the Bishop. 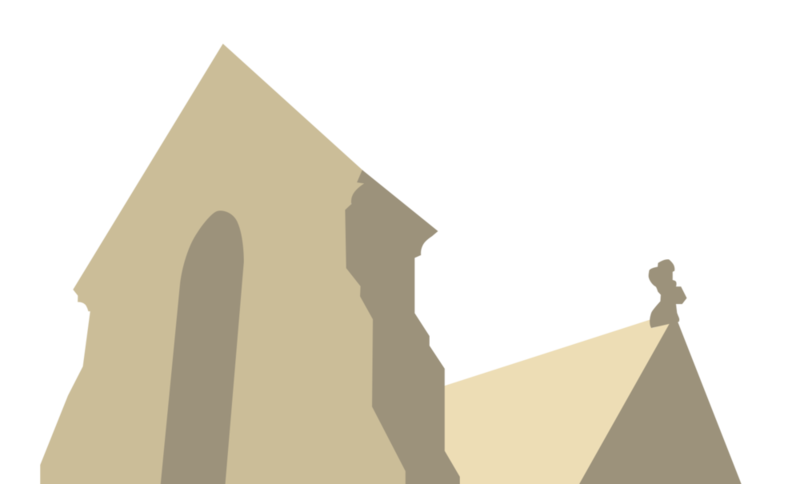 On April 25, 1894 title of the land was given to the church. By the end of that year a simple but very attractive wooden church was completed. In 1904 St. Chrysostom’s became an independent parish under the canons of the Diocese of Massachusetts. In 1927 the Jewell family, parishioners, left a trust fund to be held for twenty years for the construction of a granite church to replace the wooden building, and in 1947 a planning committee met to select the architect who would plan the new structure. Frank Cleveland, parishioner and member of the well-known architectural firm Cram and Ferguson, was appointed. In the spring of 1951 a beautiful granite church was completed and furnished. Six beautiful stained glass windows were dedicated – three in the sanctuary and three in the narthex. The interior of the rector’s study contains “linen fold” wood paneling and leaded glass windows that were once part of Ralph Adams Cram’s offices in France and Boston. In the 1950’s and 1960’s parishioners recognized a need to reassess parish life and outreach in the midst of a changing world. Over the following decades, the range of parish activities and outreach widened and increased in scope. Church facilities were opened to include: A.A., Al-Anon, Survival, Inc., and Scout troops. The Mite Box Thrift Shop, founded in 1975 by parishioner Marjorie Birnie and staffed by faithful church volunteers, remains an active service to the community and a source of financial support for the church. In 2000 the parish decided to undertake a significant building project in order to assist St. Chrysostom’s in its future mission and ministry. In 2003 the Rectory was torn down and ten condominiums were constructed on the Rectory lot. Nine condos were immediately sold, the tenth being kept as a new Rectory for future clergy and families. From the money realized from the sale, St. Chrysostom’s committed $100,000 to the Episcopal Quincy Chinese Center and the remainder was deposited to support the future life and mission of the parish.